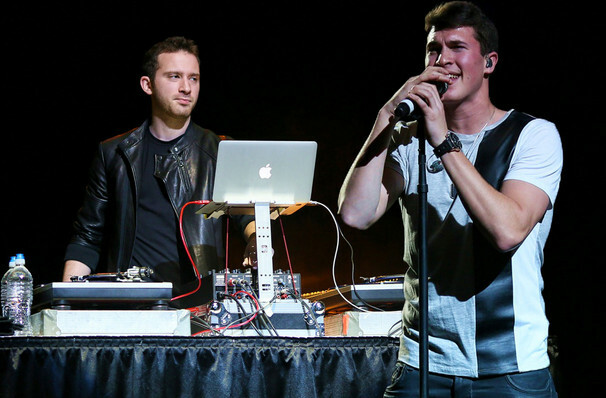 Timeflies finally hit the road again! The dance-pop duo returns to the road! Just For Fun, Rob Resnick and Cal Shapiro's third full length release, helped hone the group's already infectious brand of EDM-enhanced pop and r'n'b to almost dangerous levels. 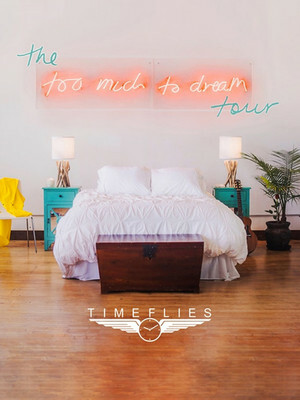 And now they're back for 2018 with their Too Much To Dream tour! Timeflies' music is big and bright, as evidenced on their hit single 'Worse Things Than Love', and is just built for live performances. The band first rose prominence through their Youtube channel, with their videos including the now fan favourite cover of Under the Sea from Disney's The Little Mermaid. With Cal Shapiro's effortless freestyle ability and Resnick's ear for gleaming production, they were bound to go far. Debut album Scotch Tape arrived in 2001 and was followed up by two EPs, One Night, Warning Signs and sophomore album After Hours. Sound good to you? Share this page on social media and let your friends know about Timeflies at Slims. Please note: The term Slims and/or Timeflies as well as all associated graphics, logos, and/or other trademarks, tradenames or copyrights are the property of the Slims and/or Timeflies and are used herein for factual descriptive purposes only. We are in no way associated with or authorized by the Slims and/or Timeflies and neither that entity nor any of its affiliates have licensed or endorsed us to sell tickets, goods and or services in conjunction with their events.